From Maryville, Tennessee, Guillermo was ranked as the #1 center in the nation and the #1 player in Tennessee by ESPN, 1st-team All-American by ESPN, Sports Illustrated, and MaxPreps, and Mr. Football Lineman of the Year in Tennessee before committing to Clemson University to play his college ball. 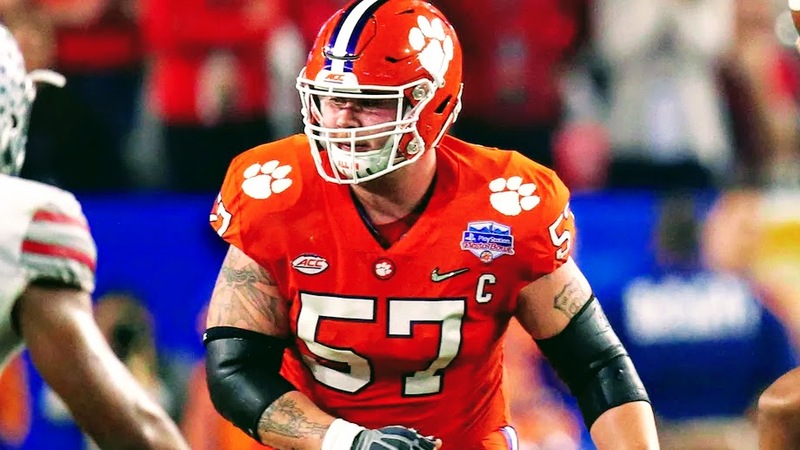 Guillermo, 6’3″, 310 lbs, was a 2x All-ACC starting center for the Tigers, leading their line to the national championship behind QB Deshaun Watson (1st round pick, Houston Texans). He played in 46 games during his Clemson career, starting 29 of them, racking up 69 career knockdown blocks in 2,552 snaps. Talent has never been an issue for Guillermo. He is also a strong leader and has elite size for centers at 6’3″; however, Guillermo has been prone to battles with depression, which caused him to quit the football team and retire from football. After going undrafted in 2017, Guillermo worked out for the Buffalo Bills before signing with the CFL’s Toronto Argonauts. In 2018, he will join The Spring League to prove to scouts his passion for the game of football has returned. At age 23, with his elite pedigree, athleticism, and size, Guillermo should have plenty of suitors if he can prove he is in a better head space and able to commit to his football career.